The AudioCodes M1KB offers a complete connectivity solution for small-to-medium sized enterprises. Scaling up to 150 concurrent sessions, the Mediant 1000 connects IP-PBXs to any SIP trunking service provider and offers superior performance in connecting any SIP to SIP environment. 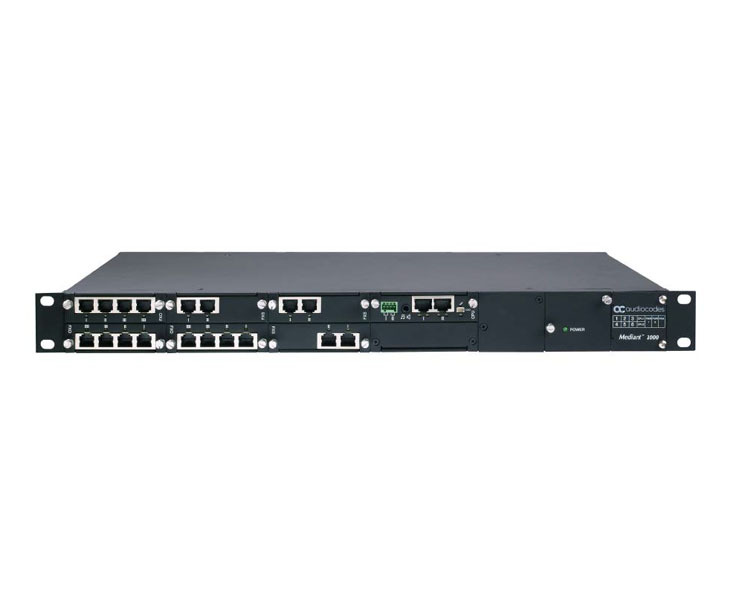 In addition, the Mediant 1000 supports up to 192 voice channels in a 1U platform to enable versatile connectivity between TDM and VoIP networks, such as connecting legacy TDM PBX systems to IP networks and IP-PBXs to the PSTN. Digital PSTN Protocols: Various ISDN PRI protocols such as EuroISDN, North American NI-2, LucentTM 4/5ESS, NortelTM DMS- 100 and others. Different CAS protocols, including MFC R2, E&M immediate start, E&M delay dial/start and others. VoIPon - your AudioCodes Mediant 1000 Enterprise Session Border Controller and Media Gateway (M1KB)[M1KB] distributor, supplier, reseller! Get all your wifi at VoIPon! If you would like to be notified when the"AudioCodes Mediant 1000 Enterprise Session Border Controller and Media Gateway (M1KB)" is re-stocked, please enter your contact details and we will notify you instantly.